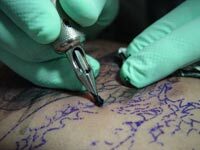 Whether you bought your tattoo machine for personal or professional use, at some point, you may have to deal with your tattoo machine breaking down or stopping in the middle of a tattoo job. One of the most common reasons for a tattoo machine stopping right in the middle of a tattoo session is poor conductivity between the frame and the clip cord. This can be caused by carbon build up inside the mounting holes and the clip ends. 1. If your machine works on batteries, remember to keep your batteries charged to avoid machine stoppages in the middle of a tattoo job. 2. Check if your contact points are well connected. Sometimes, just simply adjusting the screw contact or the frame can improve the performance of your tattoo machine. 3. Check if there is no carbon build up anywhere on your machine. If so, you can use a file or a pick to clean the unit, especially along your contact points. Do not use sandpaper for cleaning, because sand does not fully clean surfaces, and may leave some residue behind. 4. It is also possible for the wire strands on the electrical cord to break because of the frequent twisting of the cord. You may have to raise the voltage on your power supply if any of these cords break without you knowing it, and this may result to over heating. To avoid this from happening, minimize twisting of the cord and keep a power cord replacement ready all the time. 5. You can also try hooking your power pack with another machine to pinpoint exactly where the problem is. If the other machine does not work with your power pack as well, then maybe it’s time to purchase a new one.